Katana forged in an Eastern land. Very unusual specimen with a long blade. but as a result, quite easily broken. Bleed build-up is 30 per strike. The name "Washing Pole" is a reference to the famous Japanese swordsman Sasaki Kojirō (佐々木 小次郎), and his weapon of choice. 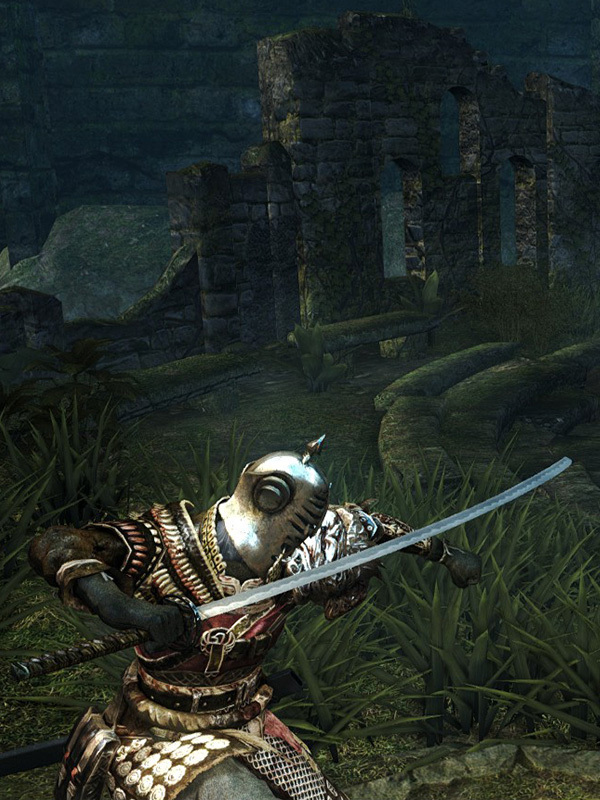 In the German, Italian, Spanish and French translation this sword is called "Nodachi". The Washing Pole has a somewhat slower attack speed compared to other Katanas. Washing Pole durability reduced. Base damage increased. Cannot repair weapon (except through reinforcement). Enchanted damage added. INT scaling added. Occult damage added. Faith scaling added.